SAN FRANCISCO - June 14, 2017 - PRLog -- Kathy Sanborn is a proven talent as a singer/composer/lyricist/producer/arranger, and in her newest release Recollecting You, she more than proves she knows her way around a love song. 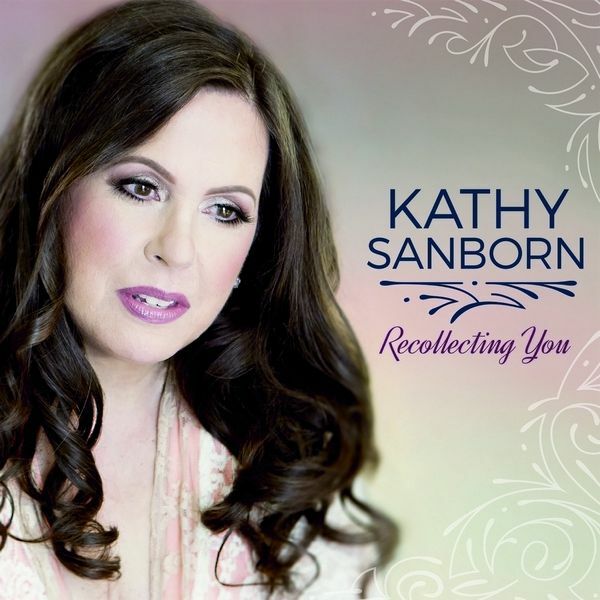 According to multi-Grammy Award winner Kabir Sehgal, "Between the irresistibly silky vocals and the muted, neo-Cool Jazz flavor of the accompanying music, Kathy Sanborn's Recollecting You is a romantic tour de force. With a uniquely lush and powerfully emotive vocal style, Sanborn draws musical inspiration from the past while pushing the evolution of the genre ever forward." The ten original tunes address tender emotions from exultant to bittersweet, whether in the moment, anticipated, or recollected. Sanborn's velvety voice caresses the lyrics, musing on deep relationships including the romantic, maternal, familial, and friendly varieties. Regardless of the lyrical point of view, Sanborn creates a consistent mood while exploring the rhymes and rhythms of each tune, demonstrating that she's a storyteller of remarkable subtlety. "The Boys Are Back Again," a flirtatious cooker that demands repeated listens. "Recollecting You," which is introduced early in the album with poetically nostalgic lyrics, then reprised in a vocalese "Snowfall Version" as the CD's finale. "Reflections in the Rain" presents a moody portrait of New York after dark, as seen at the end of a love affair. "Another Sultry Night": Sanborn's vocal treatment ensures the song lives up to its name. The simple but effective accompaniment lets her voice shine. An international cast of creative musicians joins Sanborn on Recollecting You, including Keerthy Narayanan, who produced the album, wrote the musical arrangements (Sanborn arranged the vocals), and also plays keyboards and bass. The India-based Narayanan, who also worked with Sanborn on her 2015 recording Lights of Laniakea, is recognized for his contributions to the Grammy-winning album, Winds of Samsara. Also based in India are pianist Aman Almeida and drummer Abhinav Khanna. Rounding out the band stateside are guitarists Vito Gregoli and Ciro Hurtado, a Latin Grammy nominee; trumpeter Wayne Ricci, and violinist Rocio Marron. Listen to samples of Recollecting You on Soundcloud. Fans may pre-order the album at Amazon.com. For more information on Kathy Sanborn, visit her web site.